We know that Google is preparing to launch a couple of Pixel 3 phones later this year, and now there are hints that a Pixel Stand charging dock is on the way too. 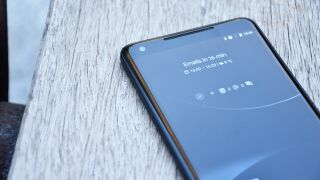 Among the features it's said to include is seamless Google Assistant integration. In other words, put your Pixel phone down in your Pixel Stand, and you can then ask Google Assistant questions even while the phone is locked, 9to5Google reports. It sounds similar to the charging docks that Amazon recently unveiled, which essentially turn your Amazon Fire tablet into an Echo Show speaker. Reference to the Pixel Stand has been found deep in the code for a new version of the Google app, so as rumors go, this one is fairly plausible. The dock might also feature wireless charging, something which the Pixel phones are tipped to offer this year. We've seen leaked images and renders of what the Pixel 3 and Pixel 3 XL might look like, but up to this point we don't have much on the internal specs of the device. The inclusion of the Snapdragon 845 CPU seems certain, but that's based on educated guesswork. It sounds like whatever hardware launch event Google is going to hold later in the year is really going to go all out on Pixel-branded devices. As well as the phones, and maybe a charging dock, we've seen reports that Google is also preparing another Pixelbook and its first Pixel smartwatch. Adding a smart wireless charger to the mix would definitely make sense for Google, and we know that Samsung is working on something similar at the moment. As soon as Google decides to make any of this official, we will of course let you know.